We are located in Aurora, Ohio servicing residents in Northeast Ohio. Having an irrigation installed on your Northeast Ohio property will allow you to efficiently water your landscape so that you can keep it looking its best. However, there’s a chance that you might need to have some changes made to your irrigation system over the course of its lifespan. Here at Sprinkler Pro, we can perform numerous modifications to your sprinkler system in order to improve its efficiency and effectiveness. Before we begin any project, Sprinker Pro uses state of the art wire tracing equipment to locate hidden valve boxes, dog fences, and electrical wires that were installed by private contractors. Don’t forget if you are having any work done to your yard or lawn to mark your sprinkler heads to avoid damage. If you’re thinking about taking on a project that involves digging on your property you need to contact the Ohio Utility Protection Service (OUPS) at 1-800-362-2764 to have major utility lines marked. If you’ve decided to add new features to your property, then you may need to have your sprinkler heads moved and your irrigation zones adjusted. For example, if you’re building a deck onto your home, then you may need to remove an entire zone since you won’t need to water that space anymore. If you’re adding smaller features, such as a small pond in the backyard, then you may just need to move some of the sprinkler heads to make room. You may need to make adjustments when you add landscaping features such as plants or bushes as well — taking into consideration how much water they need. If you’re removing features from your property, then you may need to add more sprinkler heads — or you may need to add an entire irrigation zone to your system. For example, maybe you had a large shed in the back that you no longer need, so you have it removed. You’re likely going to want to grow grass there, which means that the area the shed once occupied will need to be watered. Your current sprinkler system may have some problems as a result of poor installation. For example, maybe your system doesn’t make use of enough heads to provide proper coverage to your entire landscape. If this is the case, a few modifications can help get the most out of your current system. You may not be making any big changes to your landscape and your irrigation system may already be properly zoned. However, depending on how old your irrigation system is, you may want to make some upgrades to its components. The older your parts are, the more likely that there are much more efficient and effective parts available, from sprinkler heads to nozzles. By upgrading different components, you can save money by reducing water waste and energy use as well as improve your sprinkler system’s ability to water your landscape. There’s no service in Northeast Ohio or surrounding areas that are better suited to perform irrigation system modifications than Sprinkler Pro. We are extremely familiar with all brands of sprinkler systems. Our professionals can help plan out any modifications you need to make to your irrigation zones based on the changes you’re making to your landscape. We can also do a thorough inspection of your landscape and your current sprinkler system and recommend modifications that can help you to reduce your energy and water costs and improve your ability to water your landscape. As an accredited member of the Better Business Bureau and a member of the Ohio Irrigation Association, we are one of the most trusted irrigation services in the area. To find out more about making modifications to your existing irrigation system, be sure to contact us at Sprinkler Pro in Aurora to schedule an appointment today. 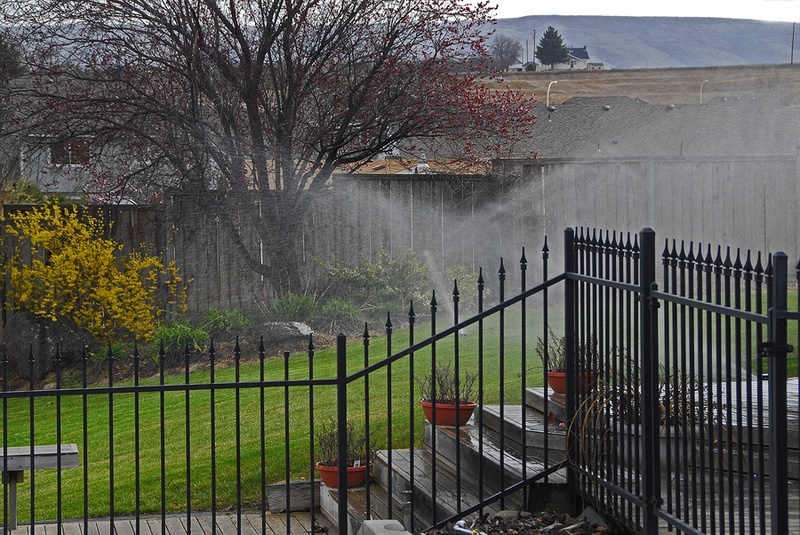 Monday – Friday 9:00 a.m. – 12:00 p.m.
Is Your Irrigation System Compliant With EPA Regulations? Greetings From Sprinkler Pro LLC! Sprinkler Pro strives for the best in customer service and satisfaction. Contact us if you have questions about any of our services. Sprinkler Pro accepts MasterCard, Visa, Discover, American Express, and check as payment.